Join us to experience the palpable energy that comes through with this work as Paul and his Guides deliver their revolutionary program for making practical shifts in consciousness that will change your life. The channeled teaching of Paul Selig has quickly become the most important and celebrated expression of channeling since A Course In Miracles rose to prominence in the 1970s. Paul Selig is considered to be one of the foremost spiritual channels working today. In his breakthrough works of channeled literature, including I Am the Word, Paul has recorded an extraordinary program for personal and planetary evolution as humankind awakens to its own divine nature. 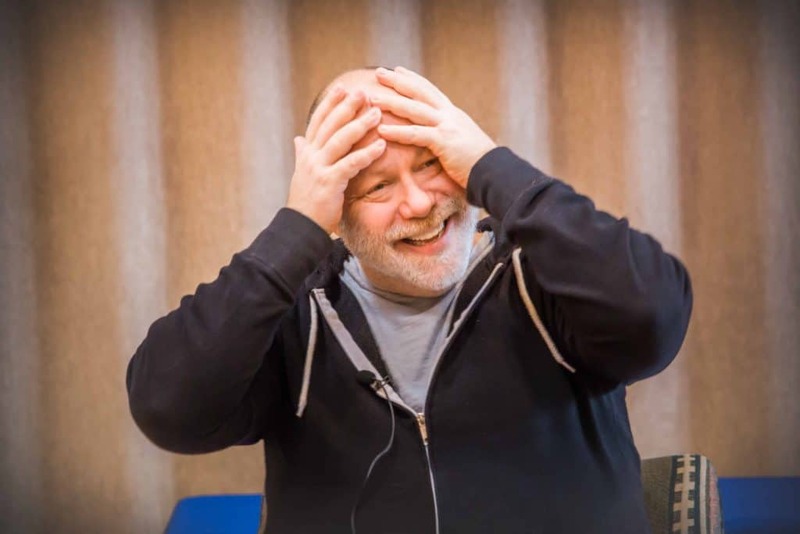 Aside from having taught hundreds of acclaimed channeled workshops internationally, Paul serves on the faculty of The Omega Institute, The Kripalu Center and the Esalen Institute. Also a noted academic, Paul serves on the Board of Trustees at Goddard College and served on the faculty of NYU for over 25 years. Paul was born in New York City and received his master’s degree from Yale. A spiritual experience in 1987 left him clairvoyant. As a way to gain a context for what he was beginning to experience he studied a form of energy healing and began to “hear” for his clients. Described as “a medium for the living,” Paul has the unique ability to step-into and “become” the people his clients ask about, often taking on their personalities and physical characteristics as he “hears” them telepathically. His unique abilities have been documented in the Biography Channel series The Unexplained and ABC’s Nightline. Sept 18 - 22: Paul and his Guides will lead you on an unprecedented journey of self-development to achieve new levels of alignment, healing and life purpose through lectures, attunements, Q&A, energy work, and empathic work. Join award-winning author and channel Paul Selig as he leads you on a deeply transformational retreat where you will work directly with his Guides and experience a practical program for achieving personal growth and overcoming obstacles that are hindering you along the way. Paul’s teachings are praised for their ability to help bring you clarity to challenging life situations including relationships, career path, self-destructive behaviors, self-confidence, identity, and purpose. This is an opportunity to go deep inside and discover yourself. In addition to the workshop time with Paul, there will be free time allotted for daily yoga classes (included with your registration), nature walks, guided meditations, spa services, a group bonfire and more. This is Paul’s most popular event of the year. We hope you’ll join us. To see the retreat schedule of events, scroll down and click Schedule. The retreat is suitable for those 18 and over. Welcome to our forested mountaintop sanctuary & America’s #1 Ayurveda Spa, Shankara. 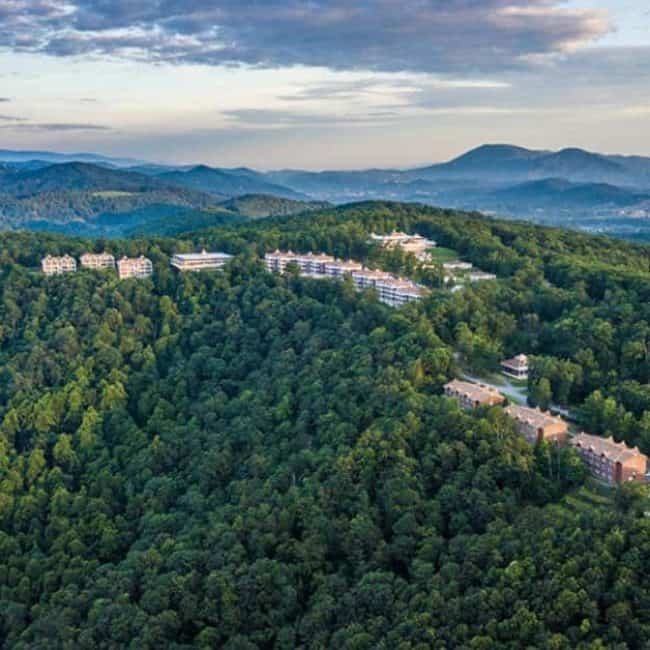 Set amidst 380 acres of pristine forest high up in the Blue Ridge Mountains, you will find peace and tranquility as you begin your wellness journey to health, happiness and self-discovery. With magnificent panoramic views stretching to the horizon, fresh mountain air, delicious food and a nurturing and relaxing environment, it is here that your heart will feel at home. Our welcoming team of authentic and engaging thought leaders invite you to experience true, unparallelled nourishment in mind, body and spirit. “I so highly recommend coming to be with Paul and the guides “in person”. For me, just experiencing the energy in the room is worth it, but on top of that, the material that emerges and the attunements are exquisitely powerful and transformative. These workshops have brought this material to life for me in such a dynamic way so that the teachings have penetrated deeply into my being and my daily life. So much gets clarified in response to questions, or just as the day develops. I can hardly wait till I can do this again.” – Natasha S.
All options include daily vegetarian meals from dinner on the night of check-in through lunch on the day of check-out. The shared hotel room features either a king bed or two full beds, a flat screen TV, a refrigerator, private bath and complimentary wifi.